Roatan is the largest island in an archipelago called the Honduras Bay Islands. It is located on the Meso-American Barrier Reef, the second largest barrier reef in the world. Roatan is widely considered one of the best places on earth for snorkeling and scuba diving. It is also well know for the many whale sharks found in the water, which you can observe on your trip. The island is blessed with beautiful beaches and is rich in bio-diversity. Roatan is also home to a number of unique cultures. Christopher Columbus discovered the Honduras Bay Islands including Roatan. The islands were already populated when he arrived there. 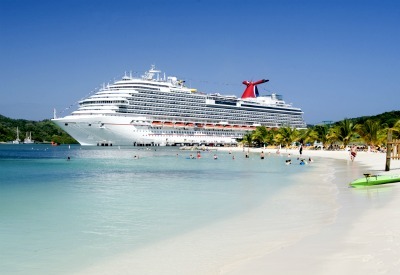 The Port of Roatan has the docking capability to host the world's most advanced cruise ships. The ships usually dock at Coxen Hole, which is named after John Coxen, who was a pirate in 17-th century. 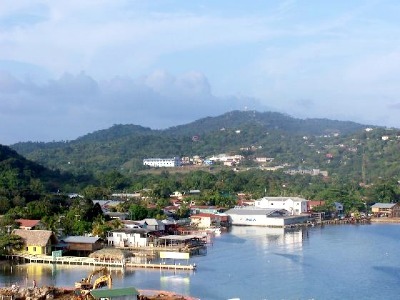 Coxen Hole is actually the capital as well as the biggest town (population of around 5,000) in Honduras Bay Islands. Today, as one of the main cruise destination in the Caribbean, Roatan offers visitors a wonderful assortment of activities that appeal to all interests and ages. Activities include natural and cultural experience or just relaxing on the beach. For more active visitors, scuba, snorkeling and zip line tours are available. One of the most popular activities in Roatan is diving, because Bay Islands is part of a massive reef system and is home to abundant sea life, sharks, whale sharks and the largest number of sponges in the Caribbean. Caves, crevices, thousand foot walls, and wrecks make Roatan one of the best diving destinations in the world. The West Bay and West End area of Roatan offer the best diving and are located close to the Port. 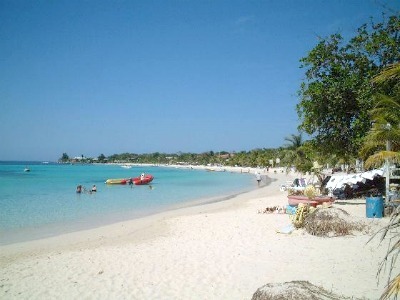 Roatan is also famous for its water skiing and snorkeling. Most of the dive and snorkel sites are located close to shore, which makes them convenient and fun for visitors to enjoy. Snorkeling is great all over the island, so if you have time, there is lots to explore. Snorkeling equipment like fins and masks can be rented from dive shops and through tour providers. 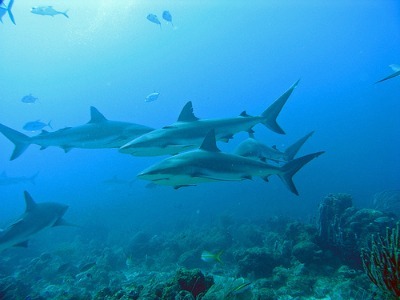 In Roatan, you can also dive with sharks. Reef Sharks display daytime schooling behavior common only to a few types of sharks. Typically they are about 6 to 9 feet long and weigh a few hundred pounds each. They are powerful creatures and are known as the hunters of the reef in nature's system of checks and balances. If you're interested in this type of activity and would like to dive with sharks, you can visit dive shops or tour providers who can arrange it for you. The center of Roatan's shopping, dining and entertainment is the Town Center at the Port of Roatan. Here you can find international shopping, themed restaurants, fun waterfront bars, and live entertainment. For a casual lunch, you can try The Lighthouse which has great grilled lobster. For a bit more upscale lunch, go to Las Rocas, which has a great variety of local Bay Island cuisine. Taxis and buses are available at the dock. Typical taxi fares are around $5 per person to town and roughly $10 per person to the West End. When you disembark at the port, you are already in Town Center, the main entertainment and shopping district. You can also rent a car, but most cruise travelers who are there on a single day choose to walk and take taxi when appropriate. The Lempira is the official currency of Honduras, but United States dollars are accepted all over the island. It is important to remember that exchange rates for foreign currency may vary. Most businesses in Town Center will accept credit cards. The best place to call folks back home or get on the Internet would be in Main Street Mall located in Coxen Hole. Here is a cruise ship docked in Roatan. The West Bay beach - a very popular place among cruise travelers and a great place for diving. The beautiful Coxen Hole from a bit far, surrounded by trees and mountains. Here are sharks swimming close to Roatan. Roatan is famous for its shark watching opportunities.